Women representatives from transport unions across Europe reached a crucial agreement at the ETF Women’s Committee meeting, held in Rome on 18-19 September. After a round of consultation and deliberation, they decided to launch an ambitious campaign to end gender-based violence. Transport is numerically a male-dominated sector. Still, about 20 percent of all transport workers are women. In 2017, the ETF did a survey of more than 1400 women transport workers from across Europe, asking them about their experience of workplace violence. 25 percent said it is a regular occurrence in the transport sector. 63 percent of women transport workers have experienced at least one recent act of violence at work. This is not acceptable. Violence should never be ‘part of the job’ and has no place in the transport industry. 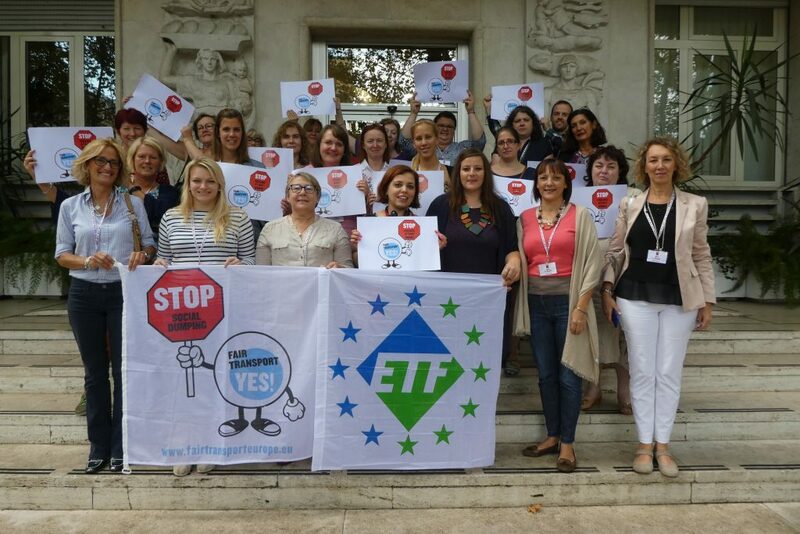 As part of the overall Fair Transport Europe campaign, the ETF women urge the EU Institutions and the EU Member States to support the establishment of a new ILO Convention (supplemented by a Recommendation) on violence and harassment in the world of work. European policymakers should play an active role in the negotiations at the International Labour Conference, ensuring a strong focus on gender-based violence. To inform both workers and the general public about this pressing issue, the ETF Women’s Committee will unfold a comprehensive plan of actions. November 25 ‒ the International Day for the Elimination of Violence against Women ‒ and March 8 ‒ International Women’s Day ‒ are earmarked as days of action. The Fair Transport Europe campaign is tremendously strengthened by this cross-sectional initiative of women workers.